Anyone that has been reading here for a while knows we like Dutch Ovens and Cobblers. 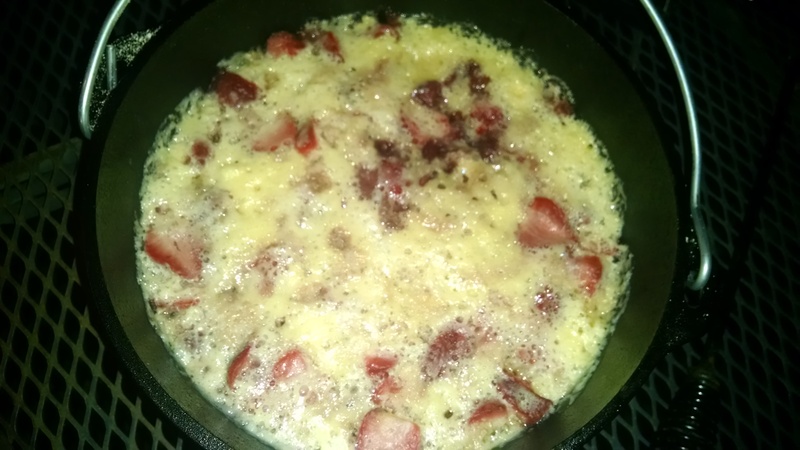 Today I figured I would share with you a strawberry cobbler via dutch oven. Always good to use fresh fruit and we are so blessed with a local supply. I was not very happy with the crust on this particular version, but that just means we need more practice. It is always good to keep practicing and refining those skills. You can see in the picture below the strawberries look magnificent. It was almost criminal to not pair those strawberries with a great crust. 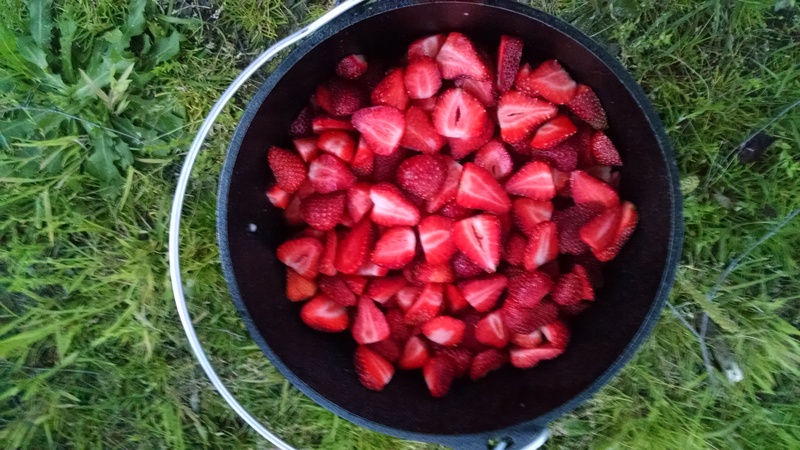 A strawberry cobbler via dutch oven should have a good crust. You can see in the picture below it started out the gate not matching up to the strawberries. Once you have the ingredients in it is time for cooking. That is one of the beauties of dutch oven cooking. If you are using charcoal briquettes there is a formula to get the exact cooking time and temperature. One thing that this cobbler was lacking was a good crust. It also never really got as brown as I would like. Finally we gave up on it and ate it. 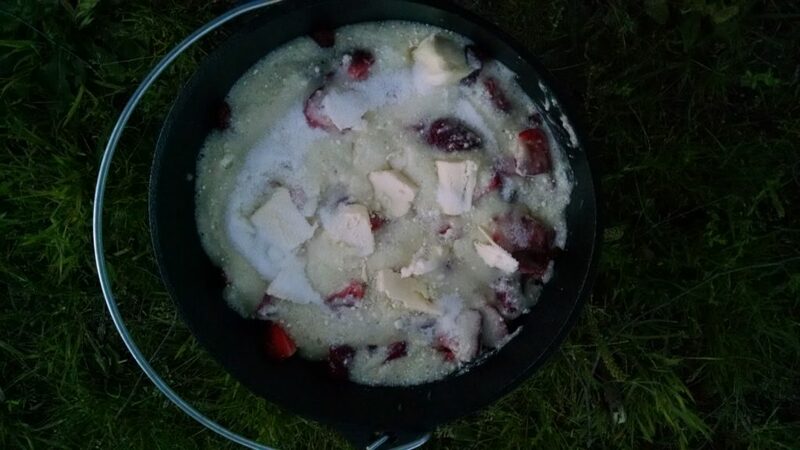 This strawberry cobbler via dutch oven still tasted good. 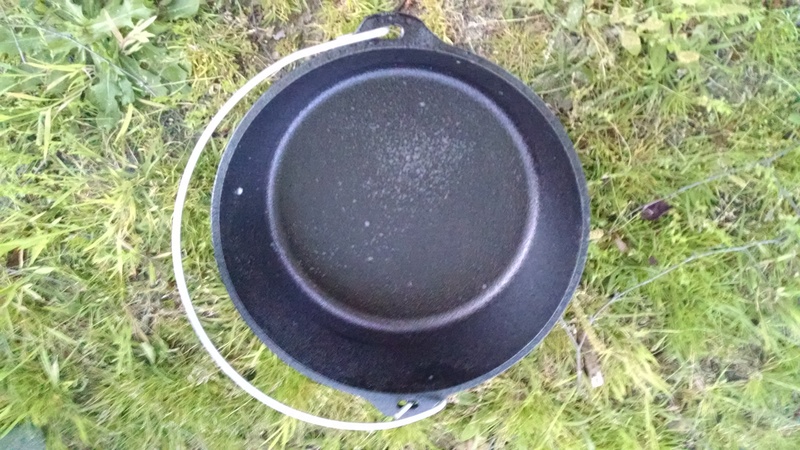 I hope you have a chance to get into dutch oven cooking if you have not already. It circles back to the way all cooks used to cook in the US. 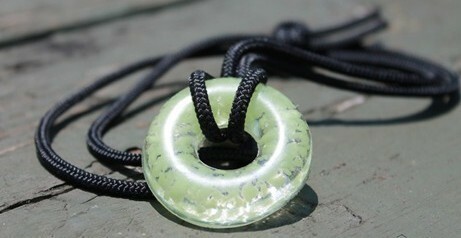 You would be amazed at the creations you can turn out. 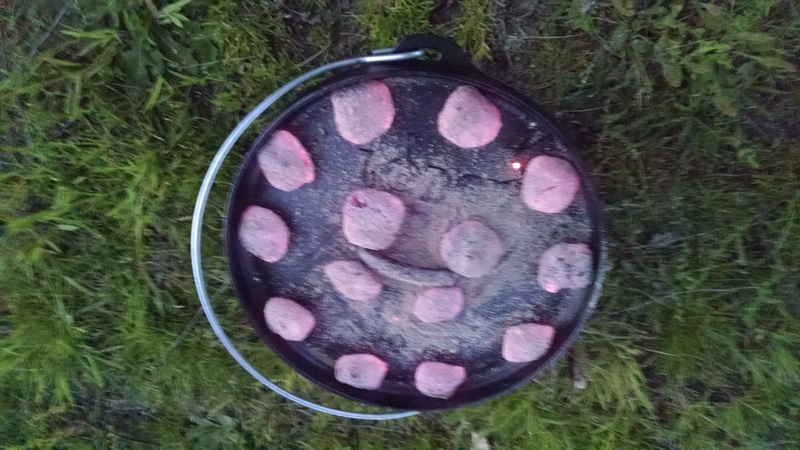 The strawberry cobbler via dutch oven was a disappointment in this instance, but practice makes perfect.